If you have an iPhone 4S with Siri, you're probably going to laugh at this post. But for those who don't have Siri, DragonDictation can come in really handy. Dragon Dictation is made by Nuance, the company that powers Siri's voice recognition, which is what they are really really good at. 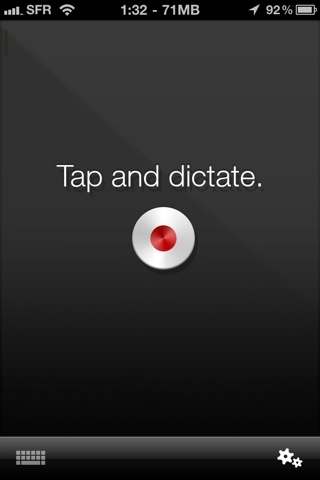 When you launch DragonDictation all you see is one big button. You click on that button and start talking. DragonDictation transcribes everything you say and converts it to text. 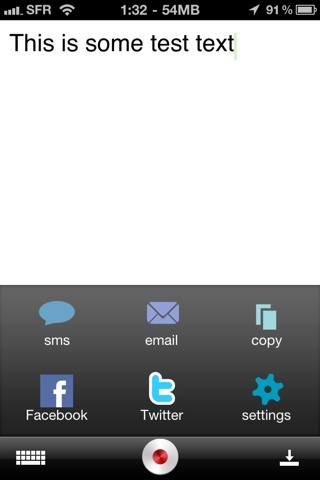 You can then very easily SMS, email, copy, tweet, or update facebook with whatever you just said. Very simple, that's it. It works very well and comes in especially useful when you are driving and need to text somebody (or update your status on Facebook, which I'm pretty sure you'd never do, that doesn't sound safe :). Dragon Dictation is a Universal app so it'll work on both your iPhone and iPad (although I guess most people don't drive around with their iPads) and its free.